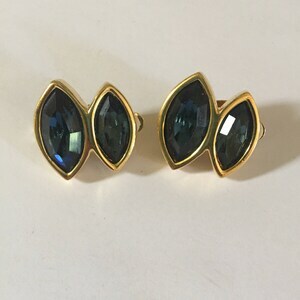 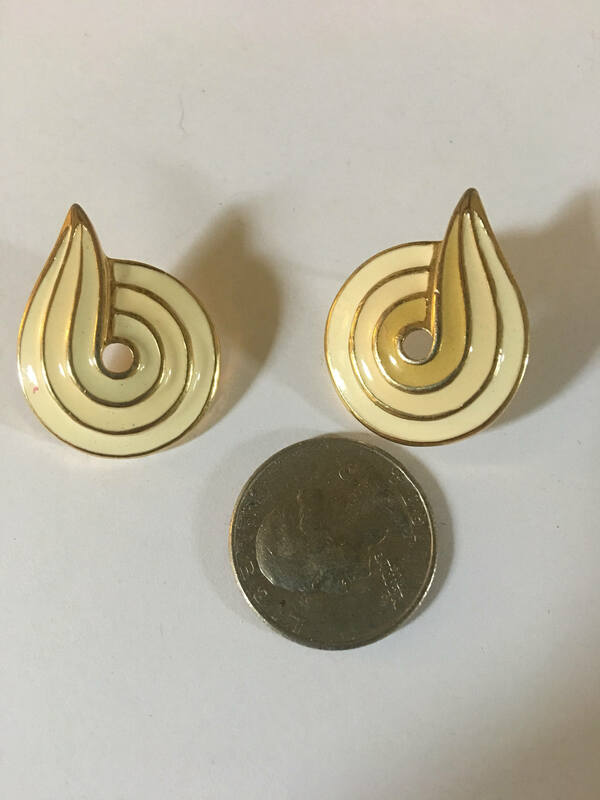 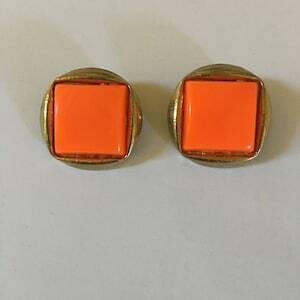 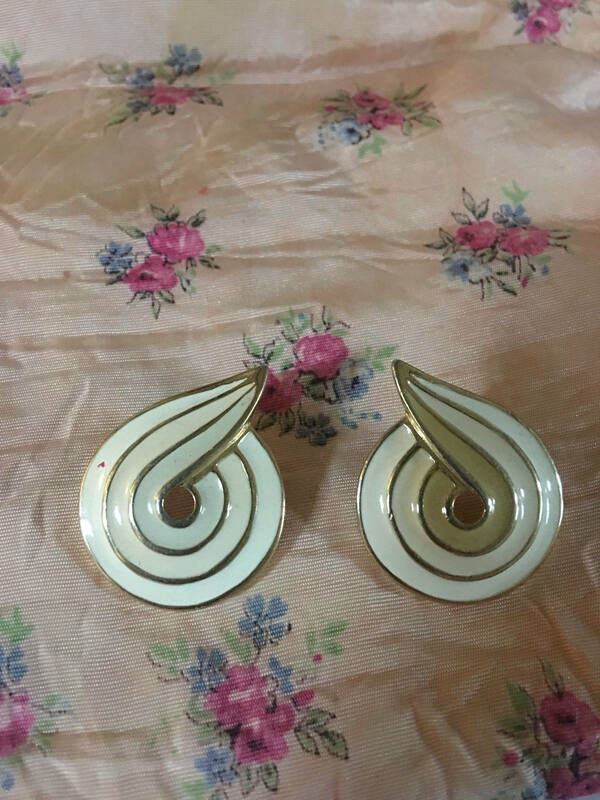 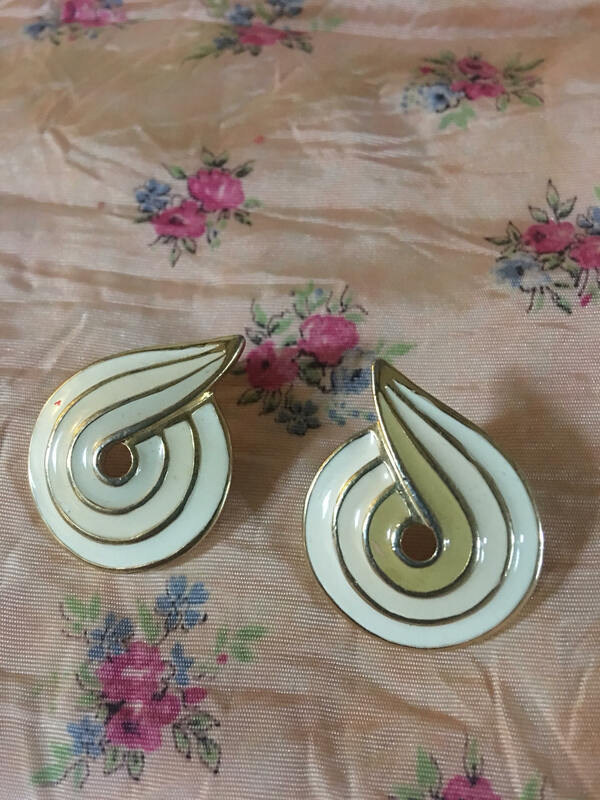 Beautiful Trifari signed earrings with enamel and gold filled backings. 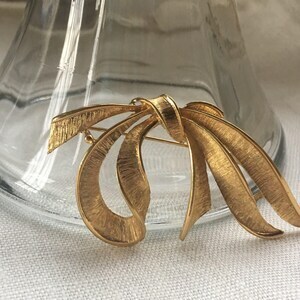 These authentic Trifari earrings are surely one of a kind. 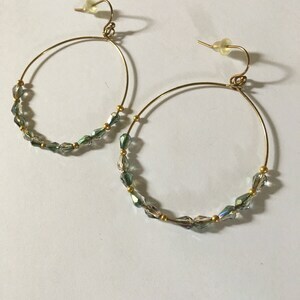 With a spiral enameled design and a gold backing they can be worn with anything! 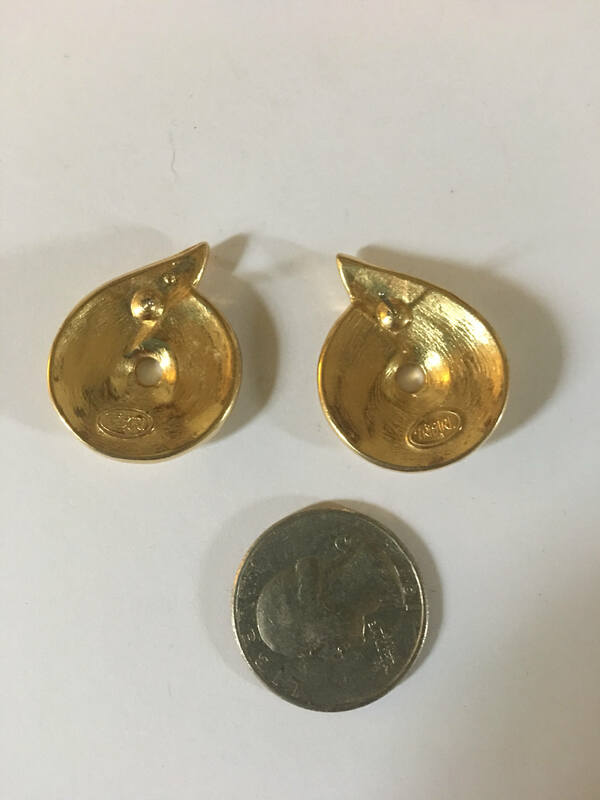 Slightly worn.